In Magento 2 EE, your customers can submit the RMA requests from the storefront by default. Each individual items of RMA requests can be managed by the RMA attribute, which can be managed in the Advanced Settings section of each product record, under Autosettings. You can apply the configuration settings to every product by default. If Enable RMA is set to “No,” the product does not appear in the list of items that are available for return. An RMA can be generated only if there is an item in the order that is available for return. 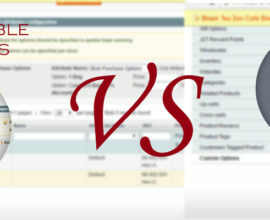 Changes to the value of the Enable RMA attribute apply to both new and existing orders. On the Admin sidebar, tap Stores. Then under Settings, choose Configuration. In the panel on the left, under Sales, choose Sales. Yes – Choose “Yes” to have returned products sent to the store address. No – Choose “No,” and enter an alternate address where returned products are to be sent. In Magento 1.x, you can see RMA requests feature in the backend, unless someone disabled it earlier in the configuration. 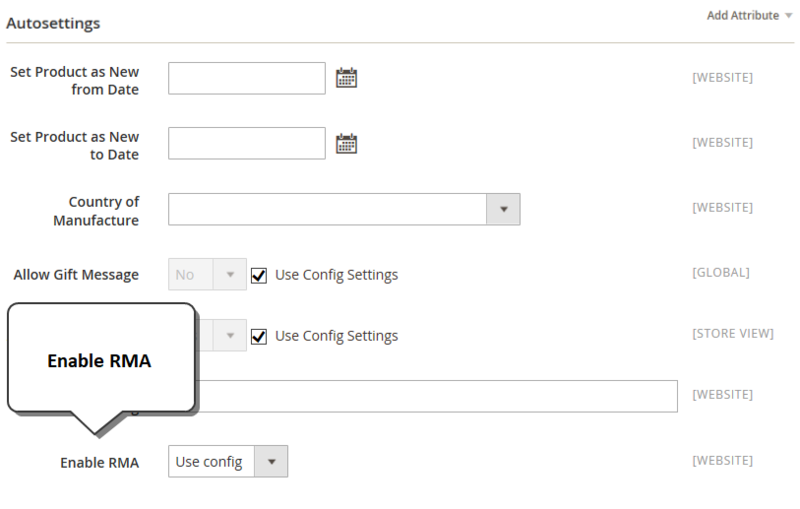 Your customers can submit requests for RMAs only if it is set up in the configuration. Availability for RMA for separate items can be configured using the Enable RMA system attribute. This system attribute is available for simple, grouped, configurable, and bundle products. The Enable RMA attribute is available on the General tab of the product view. By default, it is set to Use Config and configuration settings are applied. If you set it to No, the product will not appear in the list of items available for return, in both frontend and backend returns. Changes to the Enable RMA attribute apply to products in existing orders, as well. In the upper-left corner, set Current Configuration Scope to the website where the configuration applies. In the panel on the left, under Sales, select Sales. Click to expand the RMA Settings section. 5. Complete the fields as described below. Magento 2 RMA extension assists the store owner to manage return requests, replaces or exchanges of the products.